Contemplating what gift to get him or her? What about making your own? Here are some of my favorite handmade gifts for the holidays. Long before the chaotic crush of Black Friday became the cultural norm, I made a choice to opt out of holiday shopping in favor of making my own herbal gifts. Not only does this allow me to avoid the crowds and commercialism, but it also gives me the opportunity to pour my heart into creating something truly unique and special for the loved ones in my life. The intention involved in crafting a gift fills me with joy, a feeling we can all use a bit more of at this time of year. Not to mention the affordability and simplicity of doing it yourself. Here are a few of my favorite plant-based recipes for gifting. I like to get creative with packaging and presentation, adding festive touches like ribbons and handwritten instruction labels. You probably already have most of the ingredients you’ll need on hand, but consider supporting small business by purchasing the rest from your local health food store. Aperitifs are typically taken before meals to stimulate the appetite and prime the digestive system. These herbal bitters work to reduce gas and bloating—a common side effect of overindulgence in rich holiday treats—and can be an elegant addition to cocktails and mocktails, making them the perfect gift for the foodie and/or mixologist on your list. Grind the herbs to a coarse powder in an electric coffee grinder. Put the ground herbs in a jar and add liquid. Secure the lid, label, and let sit for 14 days, shaking every day. Make sure you can move a spoon freely through the ingredients, adding another 40 milliliters of alcohol if necessary. Strain and put in a clean, giftable jar. How to use: Put 1 teaspoon in 1/2 cup water (still or sparkling) and drink 15-20 minutes before your largest meal of the day. Beyond the beauty of its sunny orange blossoms, calendula is a wonderfully soothing herb for the skin. This oil is gentle enough for babies, making it the ideal gift for new parents or anyone with sensitive skin. 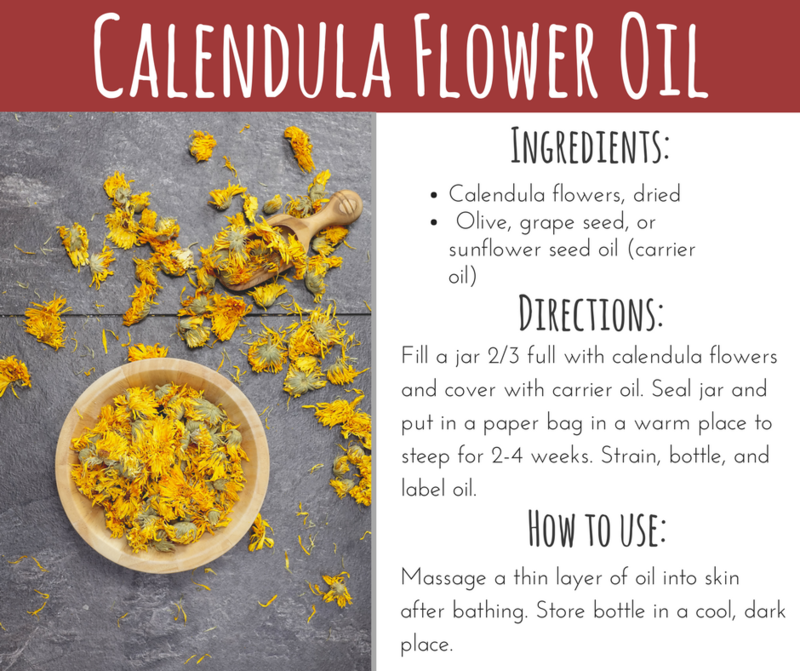 Fill a jar 2/3 full of calendula flowers and cover with a carrier oil. Seal jar and put in a paper bag in a warm place to steep for 2-4 weeks. Strain, bottle, and label oil. How to use: Massage a thin layer of oil into skin after bathing. Store bottle in a cool, dark place. In addition to being great for cooking, this honey can be used to soothe a cough or help heal a wound. It’s an excellent gift for culinary enthusiasts as well as those looking to expand their herbal medicine kits. Gently heat honey in a saucepan. Add thyme and stir for 10 minutes. Pour mixture into a clean mason jar, put on the lid, and let it sit in a warm place for 2-3 weeks. Using a spatula, scoop honey into a saucepan and heat until it becomes liquid. Using a fine mesh strainer, pour honey into a clean jar and label. 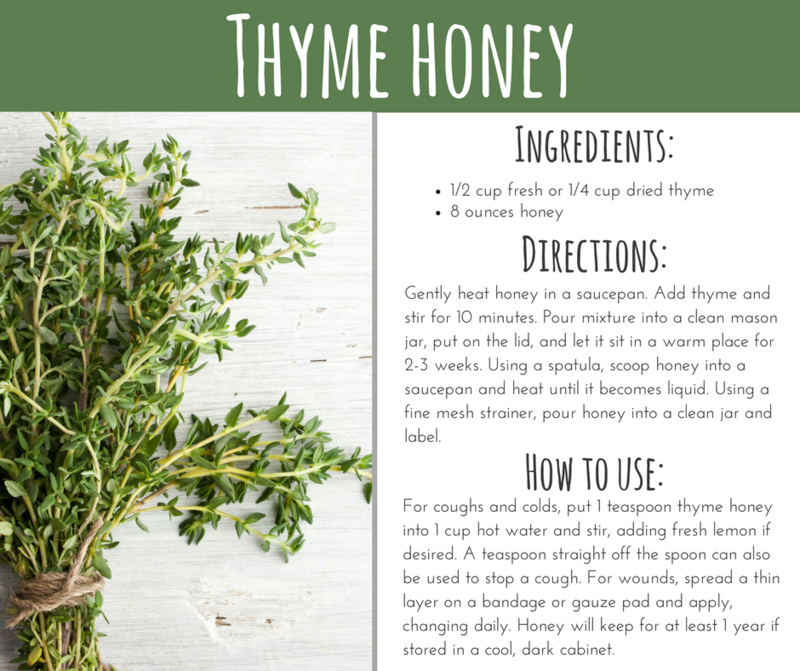 How to use: For coughs and colds, put 1 teaspoon thyme honey into 1 cup hot water and stir, adding fresh lemon if desired. A teaspoon straight off the spoon can also be used to stop a cough. For wounds, spread a thin layer on a bandage or gauze pad and apply, changing daily. Honey will keep for at least 1 year if stored in a cool, dark cabinet. For many years, I’ve encouraged pregnant women to practice the ritual of tea and journaling. 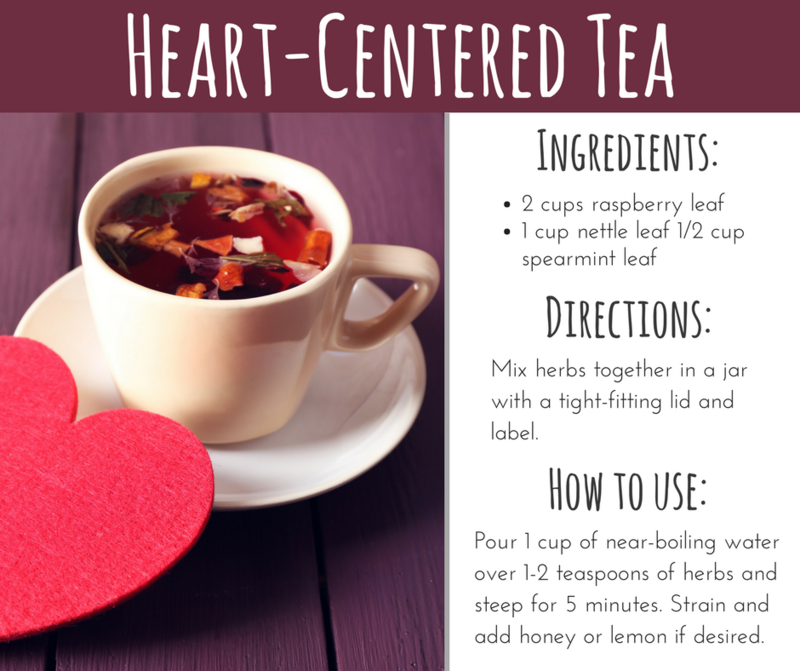 I like to gift this herbal tea to moms-to-be along with a journal and the suggestion that, starting at 34 weeks, she drinks a cup of it while writing letters to her child for 10-15 minutes every night. Mix herbs together in a jar with a tight-fitting lid and label. 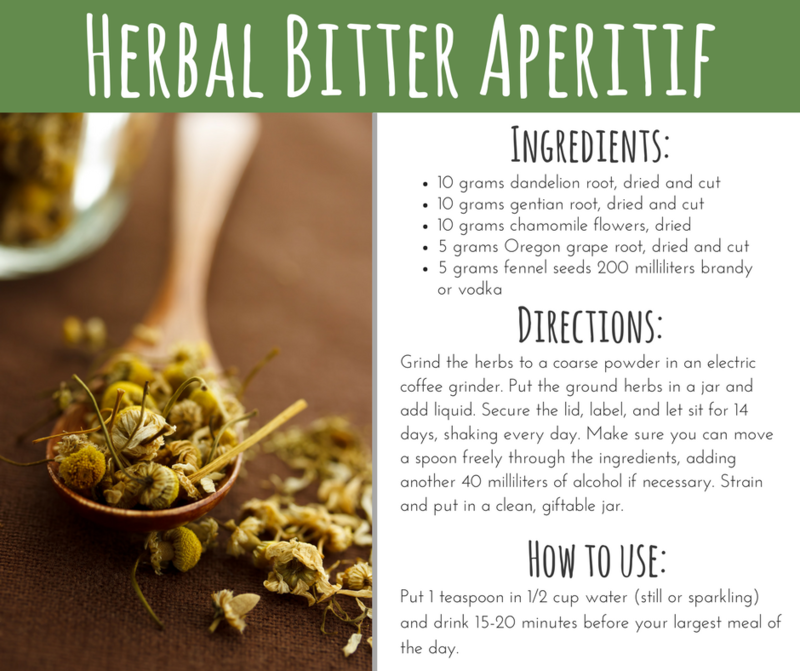 How to use: Pour 1 cup of near-boiling water over 1-2 teaspoons of herbs and steep for 5 minutes. Strain and add honey or lemon if desired. 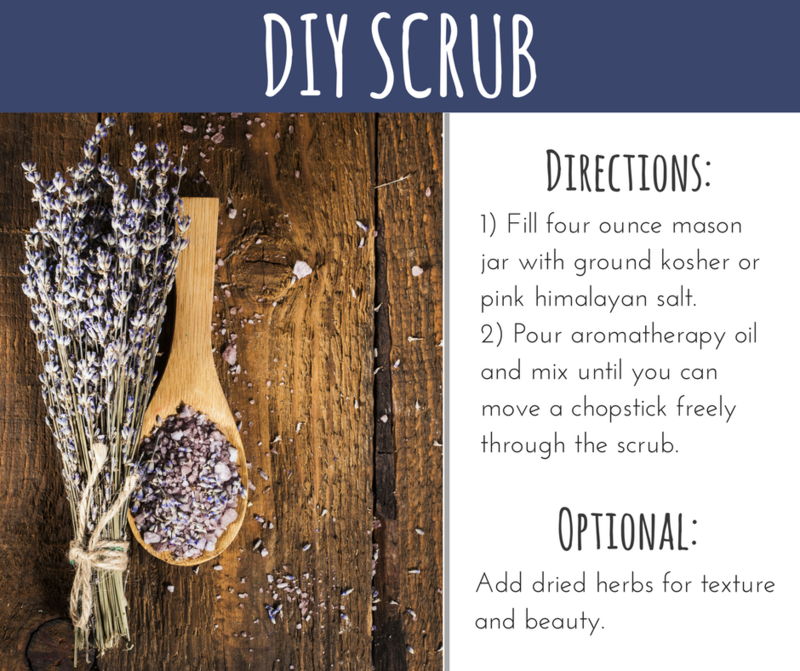 I love making these scrubs as gifts as you can personalize them with your essential oils by using a unique scent for each person. They are easy to make and give your skin a soft feeling and healthy glow. 1. Fill four ounce mason jar with ground kosher or pink himalayan salt. 2. Pour aromatherapy oil and mix until you can move a chopstick freely through the scrub. Add dried herbs for texture and beauty. This year, why not skip the store and give the people on your list the most precious gift of all—good health? Wishing you a warm and wondrous holiday season.